Register for This Year’s CPR & First Aid Courses! Are you interested in obtaining a CPR Certification? 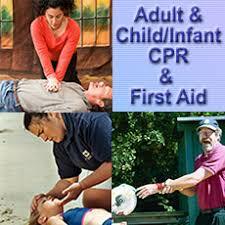 We offer Adult and Infant CPR and Adult and Pediatric First Aid. Both trainings meet DSS and DHSS requirements. Adult, Child and Infant CPR (2 hours) Topics covered include adult CPR, adult foreign body airway obstruction, child CPR, child foreign body airway obstruction, infant CPR, infant foreign body airway obstruction, personal safety, emergency response, caring for shock. All participants will practice and become proficient in hands-on training with a mannequin. Click here for additional training info and to register.